Dumbarton – Adam, Dyer, Dowie, Hutton, R.Barr, Spencer, Russell, Allardice, Aitchison, Loy [Gallagher 81] and Thomson [b43][Forbes 64]. Subs not used – Carswell and McGowan. Referee – Alan Newlands Assistants – Anthony Cooper and Mat Northcroft. Both of the teams had went into the game on the back of disappointing results the previous week. The Warriors hadn’t performed up to standard the previous week at Forfar whilst Dumbarton had also travelled back from Angus empty handed when they lost a two goal lead losing to Brechin City in stoppage time. The home side made one change to the starting eleven with Conner Duthie returning whilst Dumbarton had three players making their debut after manager Stevie Aitken had been busy on the last day of the transfer window, though Brad Spencer had been a trialist the previous week. Dumbarton took the lead after only six minutes and it was no surprise that the scorer was Bobby Barr as he has a habit of scoring against the Warriors. He took advantage of lax marking at the near post to tuck the ball through the legs of Graeme Smith with Alan Reid just failing to get a block on time. 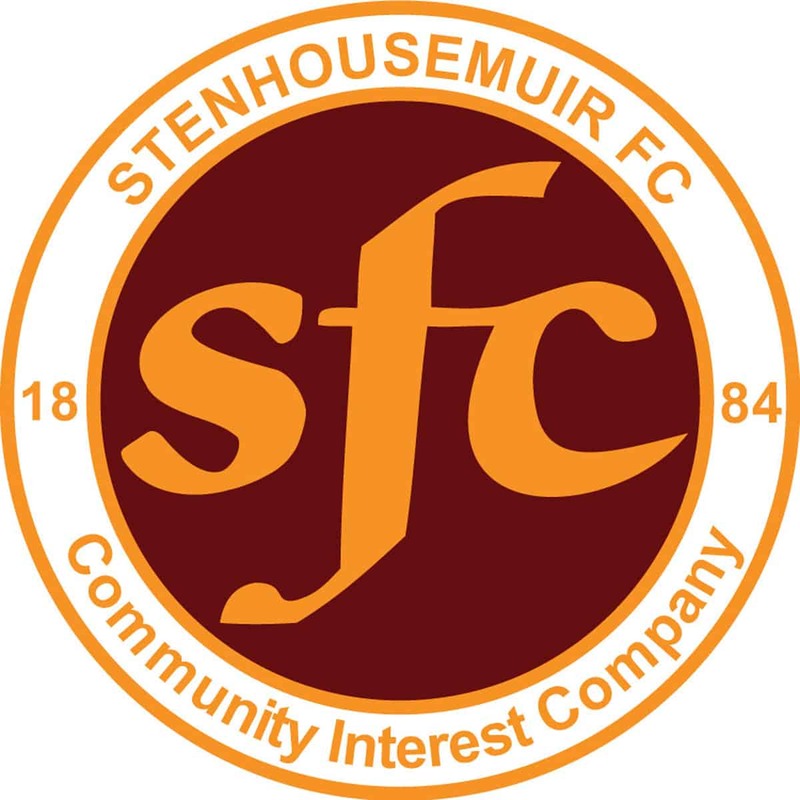 Early goals conceded have been a problem for Stenhousemuir this season and on occasion have led to further goals. This time though the Warriors weren’t in arrears for too long as they equalised in the 10th minute when Seb Ross celebrated his call up to the Scotland U19 squad with his first senior goal as he placed a Duthie pass over the advancing Grant Adam and into the net. Ross headed a Ruaridh Donaldson cross just over the bar shortly afterwards. Donaldson’s forays into attacking positions were a feature of the game as it progressed. Kevin O’Hara brought out a good save from Adam after 32 minutes but Dumbarton had the best chance to take the lead in the 34th minute when Jack Aitchison was allowed to run free after Reid appeared to have been fouled and it only took a double save from Graeme Smith to keep the scores level. Although Stenhousemuir were the better team for most of the game they had another let off in the 64th minute when Aitchison picked out a Bobby Barr run but for once he hit his shot off target when he had a realistic chance of scoring. Five minutes later a Ross driven cross was spilled by Adam but the ball was eventually cleared from the danger area before the Warriors could pounce. Seconds later Ross fired a Donaldson cross wide from close range. It looked as if the breakthrough was most likely to come from the left flank and this was indeed when the Warriors winning goal came from. Ross showed really good footwork to create space and played the ball out to Donaldson who whipped in a cross to Duthie to fire first time into the net. With two minutes of normal time left Sean Dickson fired a curling effort just wide but it was the trickery of Bobby Vaughan who created the opening and would have been one of the goals of the season if it had went in. Nevertheless the Stenhousemuir supporters were happy when the final whistle blew and they had secured all three points with a hard working performance throughout the team as the players appeared to take heed of the words of Brown Ferguson following the Forfar game.